Margaret Lawson was a fine sculptress of animals and her works are rarely offered. She studied in NY and PA and most of her works date from the early 20th century although she continued to sculpt thru out her lifetime. 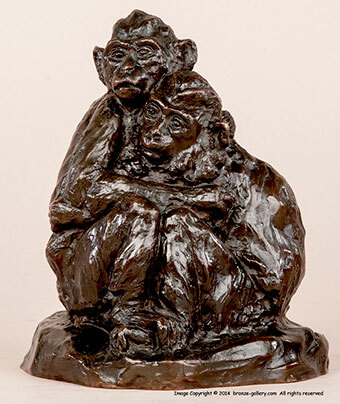 This fine small group of two Monkeys cuddling each other was exhibited in 1914 at the Pennsylvania Academy of Fine Arts along with her bronze of the Chimpanzee Betty. 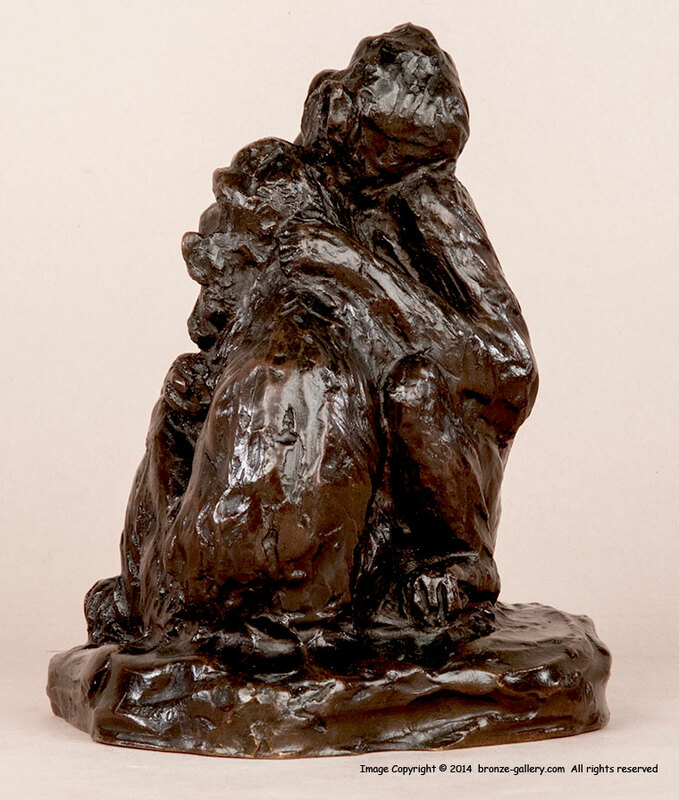 The bronze has a rich dark brown patina and was cast by the Griffoul Foundry in Newark NJ. The bronze is a sensitive model with good expression, it is a superb sculpture which came from the artist's estate.